There are many design movements that were originally inspired by nature. That is because interior designers and architects have long recognized that mankind can never be completely separated from nature. Somewhere deep inside all of us is the need to stay connected with the outdoors. This is why it has become more and more common for people to decorate their homes with plants. These living organisms beautify our homes and remind us of our wild origins at the same time. They add beauty and richness to living spaces. Those are just a few things that plants add to our homes. Here are some other great reasons to have indoor plants. They help us breathe easier: As most people know, plants take in carbon dioxide – which we exhale – and release oxygen into the atmosphere. This makes our relationship with these living organisms mutually beneficial. According to some experts spider plants, Aloe Vera, peace lilies and mums are especially efficient in clearing the air. They can help reduce stress: Some studies have shown that potted plants help lower stress and fatigue levels. They have even been shown to have an effect on heart rates, blood pressure and respiratory difficulties. They produce food: Wary of the pesticides and other unnatural chemicals seeping into the food chain, many people have taken to raising home vegetable gardens. Creating a home garden not only ensures that your veggies will be their freshest, it also saves money. Houseplants make the perfect accessory: Adding some green to your home can help beautify and freshen even the blandest looking room. 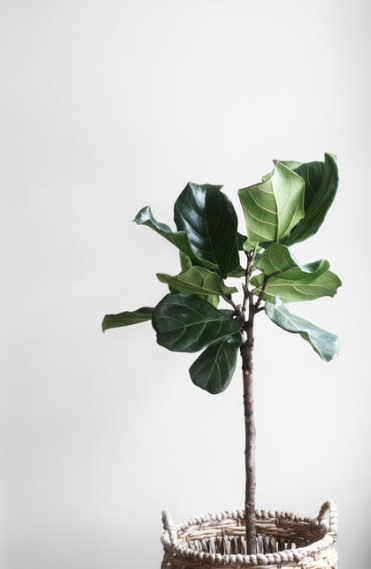 They can help make us healthier overall: Plants have a natural ability to humidify the air thus decreasing the amount of dust and viruses circulating in our living spaces. Study after study has shown adding plants to indoor spaces can decrease colds, fatigue, headaches, etc. They can help you be more productive: According to a Washing State University study people who work within view of houseplants tend to complete tasks 12% faster than those who work without them. Plants have a calming influence and help us stay focused. Yes, mankind can never truly separate himself from nature. We strive to connect with nature from living with pets that were once wild, to surrounding ourselves with plants. Much of the furniture we carry has been inspired by men and women who recognized that vital connection. Additionally, plants perfectly accessorize all schools of interior design from our modern classic furniture to our Midj products. So, do yourself a favor and add nature to your home. Are Accent Walls the New Black?